False Statements (18 U.S.C. § 1001) – Click here to learn more about false statements. Money Laundering (18 U.S.C. § 1956) – Click here to learn more about money laundering. Mail Fraud (18 U.S.C. § 1341) – Click here to learn more about mail fraud. Embezzlement – Bank Officers (18 U.S.C. § 656) – Click here to learn more about embezzlement. Bank Entries (18 U.S.C. § 1005) – Click here to learn more about false bank entries. Mortgage Fraud – Loan & Credit Applications (18 U.S.C. § 1014) – Click here to learn more about mortgage fraud. Bankruptcy Fraud (18 U.S.C. § 157) – Click here to learn more about bankruptcy fraud. Aggravated Identity Theft (18 U.S.C. § 1028A) – Click here to learn more about Aggravated Identity Theft. in any grant, contract, subcontract, subsidy, loan, guarantee, insurance, or other form of Federal assistance, including through the Troubled Asset Relief Program, an economic stimulus, recovery or rescue plan provided by the Government, or the Government’s purchase of any troubled asset as defined in the Emergency Economic Stabilization Act of 2008, or in any procurement of property or services as a prime contractor with the United States or as a subcontractor or supplier on a contract in which there is a prime contract with the United States, if the value of such grant, contract, subcontract, subsidy, loan, guarantee, insurance, or other form of Federal assistance, or any constituent part thereof, is $1,000,000 or more shall, subject to the applicability of subsection (c) of this section, be fined not more than $1,000,000, or imprisoned not more than 10 years, or both. willfully embezzles, abstracts, purloins, or misappropriates any of the moneys, funds, premiums, credits, or other property of such person so engaged shall be punished as provided in paragraph (2). (2) The punishment for an offense under paragraph (1) is a fine as provided under this title or imprisonment for not more than 10 years, or both, except that if such embezzlement, abstraction, purloining, or misappropriation described in paragraph (1) jeopardized the safety and soundness of an insurer and was a significant cause of such insurer being placed in conservation, rehabilitation, or liquidation by an appropriate court, such imprisonment shall be not more than 15 years. If the amount or value so embezzled, abstracted, purloined, or misappropriated does not exceed $5,000, whoever violates paragraph (1) shall be fined as provided in this title or imprisoned not more than one year, or both. (c)(1) Whoever is engaged in the business of insurance and whose activities affect interstate commerce or is involved (other than as an insured or beneficiary under a policy of insurance) in a transaction relating to the conduct of affairs of such a business, knowingly makes any false entry of material fact in any book, report, or statement of such person engaged in the business of insurance with intent to deceive any person, including any officer, employee, or agent of such person engaged in the business of insurance, any insurance regulatory official or agency, or any agent or examiner appointed by such official or agency to examine the affairs of such person, about the financial condition or solvency of such business shall be punished as provided in paragraph (2). (2) The punishment for an offense under paragraph (1) is a fine as provided under this title or imprisonment for not more than 10 years, or both, except that if the false entry in any book, report, or statement of such person jeopardized the safety and soundness of an insurer and was a significant cause of such insurer being placed in conservation, rehabilitation, or liquidation by an appropriate court, such imprisonment shall be not more than 15 years. (d) Whoever, by threats or force or by any threatening letter or communication, corruptly influences, obstructs, or impedes or endeavors corruptly to influence, obstruct, or impede the due and proper administration of the law under which any proceeding involving the business of insurance whose activities affect interstate commerce is pending before any insurance regulatory official or agency or any agent or examiner appointed by such official or agency to examine the affairs of a person engaged in the business of insurance whose activities affect interstate commerce, shall be fined as provided in this title or imprisoned not more than 10 years, or both. in connection with the delivery of or payment for health care benefits, items, or services, shall be fined under this title or imprisoned not more than 5 years, or both. (5) falsely represents oneself to be the registrant or the legitimate successor in interest to the registrant of 5 or more Internet Protocol addresses, and intentionally initiates the transmission of multiple commercial electronic mail messages from such addresses, or conspires to do so, shall be punished as provided in subsection (b). 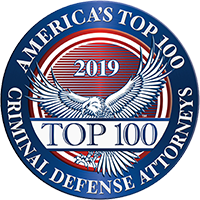 If you have been charged with or are being investigated for any of the above-referenced economic and fraud offenses, please contact the federal criminal defense lawyers at The McKellar Law Firm today at 865-566-0125 for a free consultation. 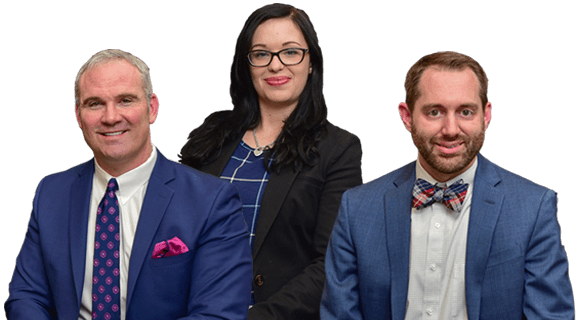 If you have been charged with or are being investigated for any of the economic and fraud offenses referenced above, please don’t hesitate to contact McKellar & Easter, Attorneys at Law. We have experience with all types of federal cases, including those concerning fraud and economic offenses. We can help you.